CaptureOne TM-S1000 offers new innovative features. The highest MICR accuracy available and the quality and reliability that Epson is known for. It enables banks, their commercial customers and retailers to take advantage of the cost-saving benefits of Check 21. 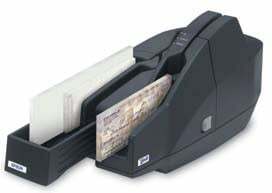 CaptureOne TM-S1000 can be used by banks in both branch and RDC applications and allows retailers to scan, capture and deposit checks directly to their merchant account reducing check costs and improving cash flow. The Epson A41A266A8881 is also known as Epson POS Products	EPS-A41A266A8881	.